The festival is hosted by The BC Cowboy Heritage Society and is known across Canada as the Best Cowboy Festival of its kind. With a dinner and dance, entertainment, trade show, art show, evening shows, a dinner theatre, and over 20 performers. with entertainment by Gordie West and others. 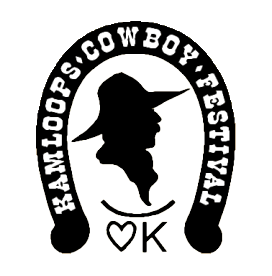 This year the Kamloops Cowboy Festival will host it's own dinner dance at Hal Rogers Center. There are no stairs and lots of parking! This is free for all weekend pass holders! Hosted by with Gordie West, held at the Horse Barn on Mt Paul Way from 9:00am-2pm. Get to and from the Coast Hotel with a free shuttle bus all day long. Enjoy the trade show, art show and daytime entertainment. Return to the Coast Hotel & Conference Centre for happy hour, followed by an evening show and dinner theatre. All day entertainment, trade shows, art shows, evening entertainment & dinner theatre. Entertainment starting at 9:30am, followed by Cowboy Church at 10:30am in the Ball Room at the Coast Hotel on Conference Centre. The Afternoon is packed with a Trade Show, Art Show and Entertainment. The evening Dinner Theatre and Dinner. The Art of the West Show and Sale! The Art of the West Show and Sale is presented by The BC Cowboy Heritage Society. This event showcases the art of the West in all its forms and all its locales, becoming one of the premier Western art shows in Canada. A People&apos;s choice award will be awarded to the piece of artwork that receives the most votes from the viewers attending the show. The volunteers taking care of the show will be asked to encourage each visitor to vote once for Artwork, Photography, and Sculpture entries are all eligible for the award. The voting will end at 5 pm on Saturday. The Western Art and Gear Show! As well as all the above entertainment we also have a Western Art and Gear Show that will run all weekend long! The exhibitors in this show are some of the finest cowboy craftsmen and artists in North America! There will be a variety of booths selling and taking orders for saddles and leather work, western clothing, cowboy hats, books, jewelry, lots of art, bronzes, and some educational booths! Join in on a workshop or seminar to learn about songwriting, stage presence, instruments and more. The BCCHS Fund Raiser Raffle! The Commemorative 2019 Festival Belt Buckle! This has become an annual raffle. 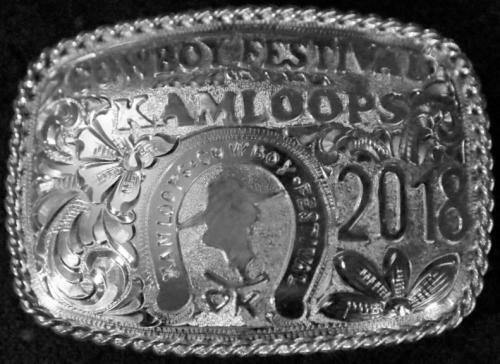 Tickets are $10 each and the winner will receive a solid silver, custom handmade, 2019 Kamloops Cowboy Festival commemorative belt buckle valued at about $750.00. It&apos;s a one of a kind buckle too, hand made by Merritt silversmith Richard Tenisch. Located at the Horse Barn with Gordie West. Free for all weekend pass holders! 11:00am to 2:00pm the Horse Barn will again have entertainment with different Festival entertainers performing will be a free shuttle service. Includes evening performance in the Ball Room & daytime admission! With a weekend pass - Includes dinner! Includes daytime entertainment, one evening performance & dinner! Includes daytime entertainment, trade show, & seminars! Includes dance, roast beef buffet, tax & gratuities! The Horse Barn on Mount Paul Way, BC&apos;s biggest and best western wear store. (please don&apos;t call the Horse Barn). Just say that you&apos;re going to the Cowboy Festival and the following sponsors will give you a special "Festival Rate!" Don&apos;t forget to tell them, though. If you do need accommodation, please stay at one of the following as they do sponsor the Festival. Frontier Bus Lines is the official Cowboy Festival charter with a departure on March 14th, 2019 from Central Alberta. 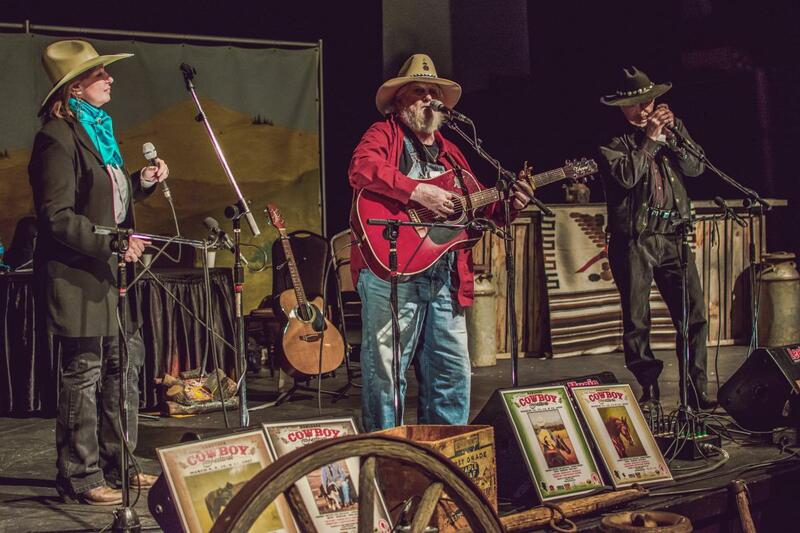 The tour will include deluxe motor coach transportation with an experienced tour guide, Tickets for the Dinner Dance Thursday evening, 4 nights at the Coast Hotel (host hotel for Festival), daily breakfast, a weekend pass to Cowboy Festival and all three dinner theater shows.